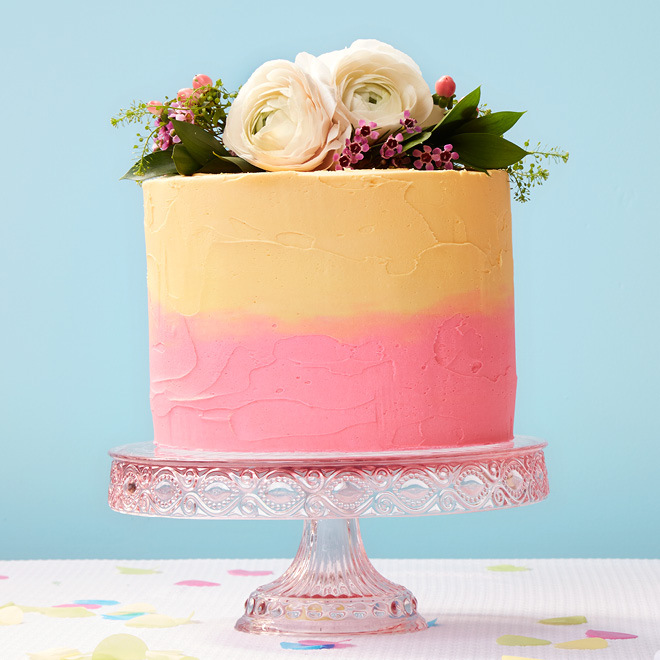 Piped, painted, smeared or slathered—your cake will be gorgeous with these great ideas. Drag the back of a spoon across the icing. Wipe off excess icing after each row. Dip the tines of a fork into the icing to form small waves. Drag the tines of a fork through icing in an alternating pattern. Wipe fork after each mark. 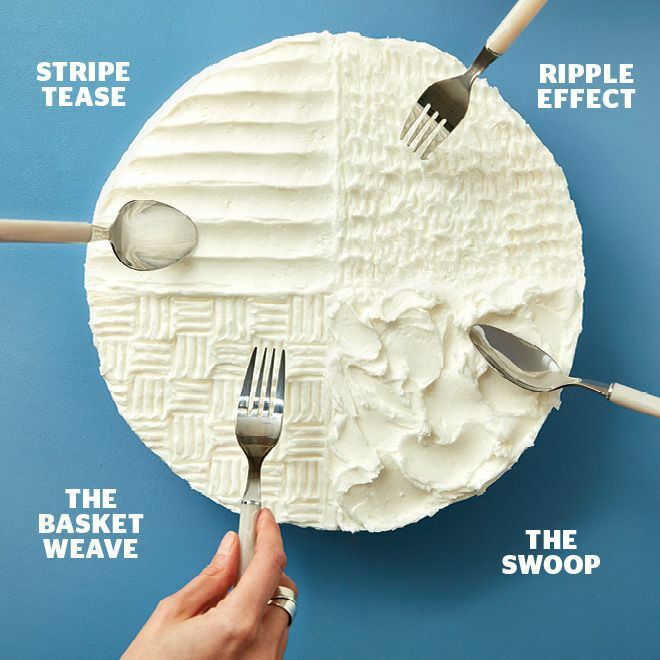 Create dramatic swirls with the back of a spoon. These petals are easy to make. 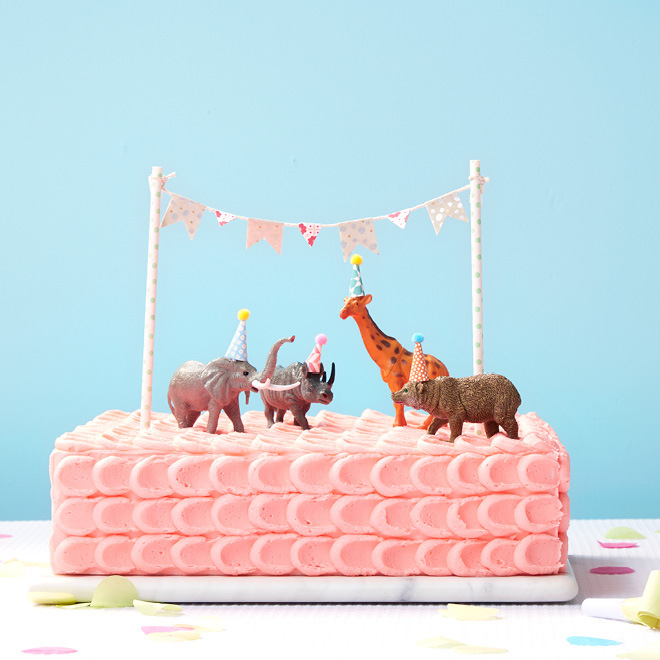 A spoon and some icing is all you need to take your cake to the next level. You are the Picasso of pastries! 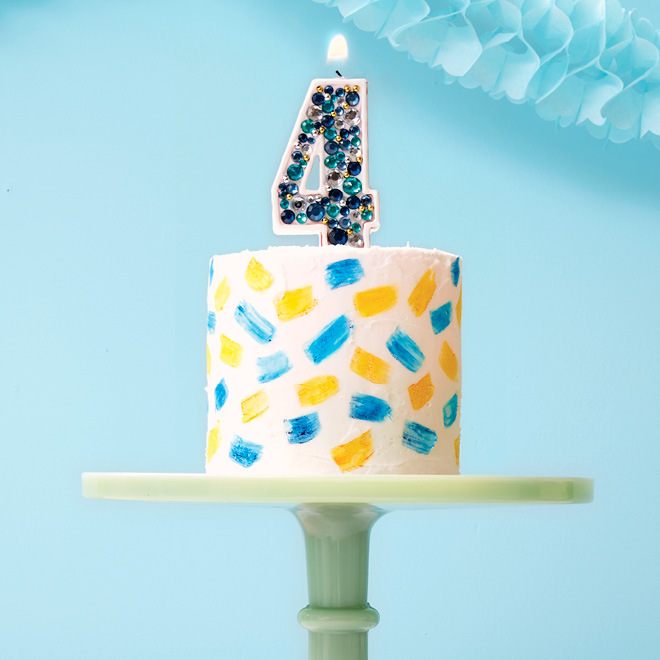 Grab a paintbrush and start decorating. What's prettier than a sunset? An ombré cake with two colours that meet in the middle. Well it may not actually outshine a sunset but it sure is tastier!